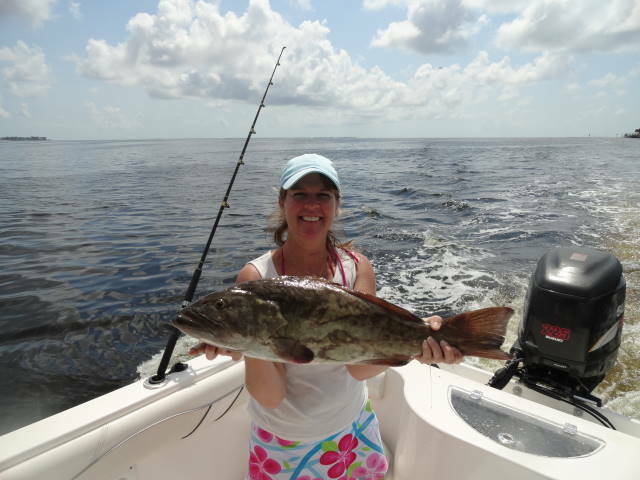 Fishing adventures that are sure to end with off the hook recipes! Preheat oven at 400 degrees. Spray a baking dish with cooking spray. On medium high heat in a frying pan coated with 2 tablespoons of olive oil sauté mushrooms for 3 minutes. Next add green onions and cook an additional 2 minutes do not overcook as the dish will finish cooking in the oven. In a small bowl add 2 tablespoons of oil, lemon juice, cilantro and sea salt & pepper whisk until well incorporated. 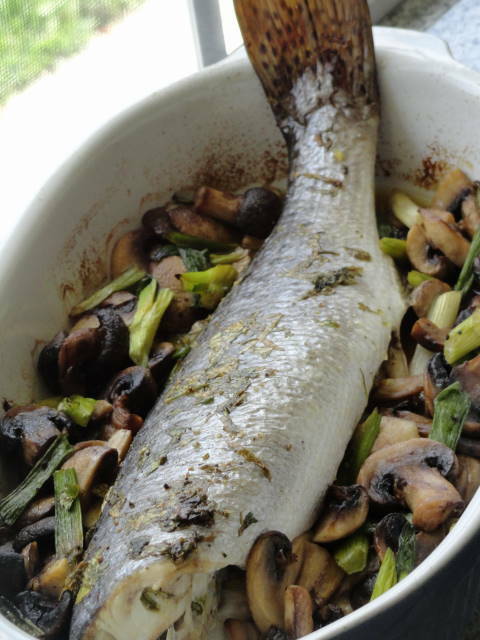 Brush trout with marinate inside and on outside both sides to coat the trout well. Place the trout in greased oven proof casserole, place the vegetables around the trout and bake in oven for 25 to 30 minutes. 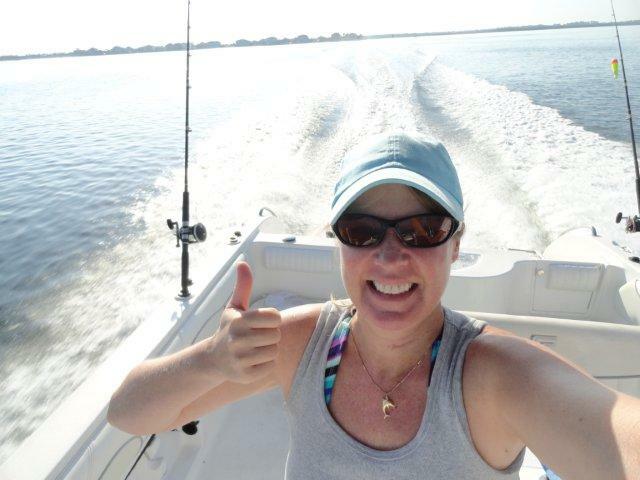 Join me tomorrow for another fishing adventure that is sure to end with an off the hook recipe! 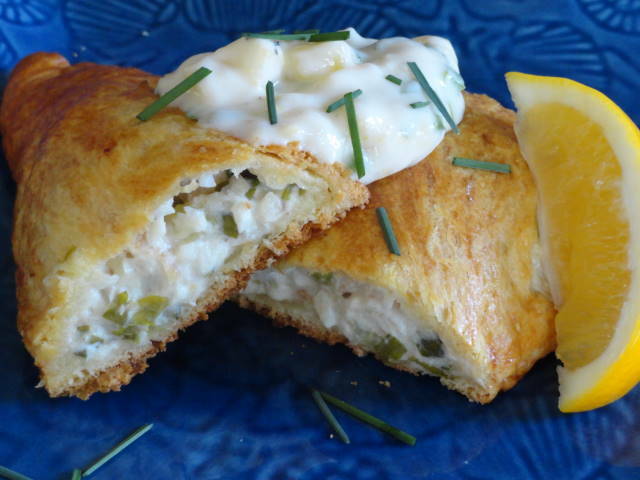 Fish turnovers with Aloha sauce! Preheat oven at 375 degrees. Line a cooking sheet with parchment paper. In a mixing bowl add fish, cream cheese, mayonnaise, celery, onions, parsley, old bay seasoning, lemon juice salt& pepper mix well. On rolled and separate croissant dough and place four of the croissant dough on your lined cookie sheet. Place two cookie scoops of filling on each of four of the croissant dough pieces. Top with the remaining croissant dough and pinch the edge of the turnovers together. With a sharp knife place a couple of cuts in the dough on top of each turnover to let air escape. In a small bowl mix egg and water. Brush each turnover with egg wash. Bake in oven 25 minutes until turnovers are golden in color. For Aloha sauce mix all sauce ingredients together and voila done! 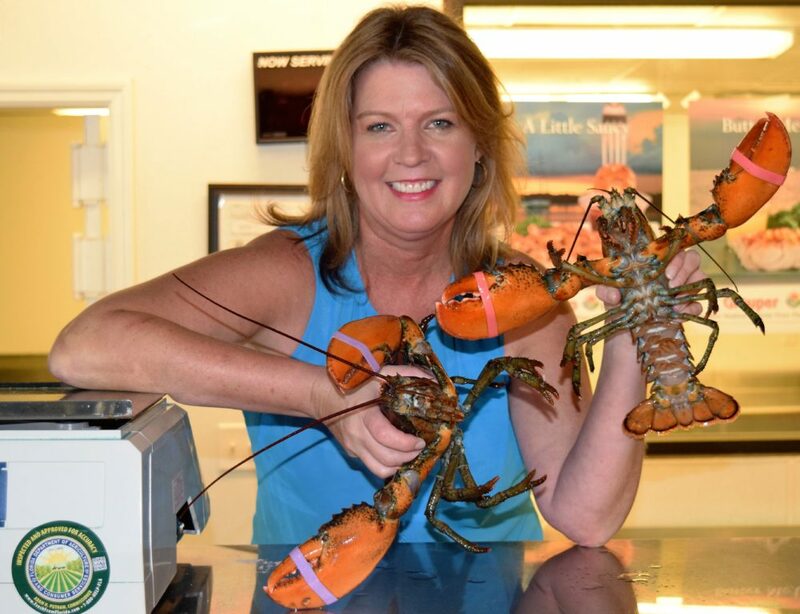 Join me tomorrow for a fishing adventure that is sure to end with an off the hook recipe! 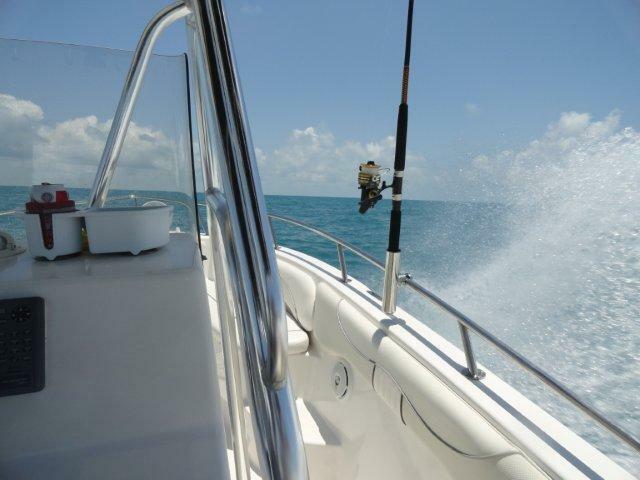 Catching bate for our offshore fishing trip! In a small bowl add orange juice, lemon juice and lime juice. Add olive oil, basil, salt & pepper whisk together well and set aside. 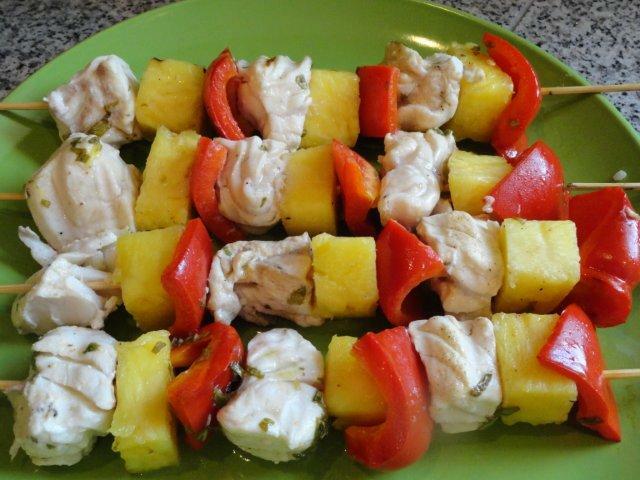 Cut grouper, pepper and pineapple (each in 12 pieces). Skew each shish Kabob by starting with red pepper then pineapple and follow with a piece of grouper repeat this order three times per skewer making 4 shish Kabob and place in a deep dish. Pour marinade over shish Kabob and let them marinate 20 minutes and turning those ones after 10 minutes to get them coated well. Preheat grill on medium heat. Cook kabobs 5 minutes brush with marinade and then turn and cook with lid close an additional 5 minutes. Keep in mind that the cooking time may vary by an additional 3 to 4 minutes. Serve immediately! Bon appétit! With a hint of citrus, these are simple, healthy and delicious! First day of Gag Grouper season! Got to love it! 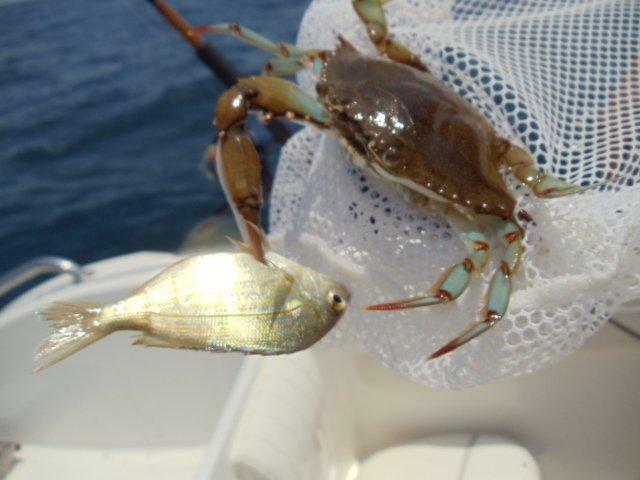 Fishing adventures that are sure to end with an off the hook recipe! Soak king fish in milk for 12 hours and up to 24 hours. Next remove fish from milk pat dry and cut in cubes 2 inches by 1 inch. In a large pot add 8 cups of water and the bag of crab boil. Bring to a boil for 15 to 20 minutes. Removed crab boil bag add fish cubes and boil for 3 to 6 minutes. Cook only until you fish is all white and wants to fall apart drain on a paper tower. In a small microwave proof bowl add butter, garlic, garlic powder and chopped chives cook on until butter is melted! 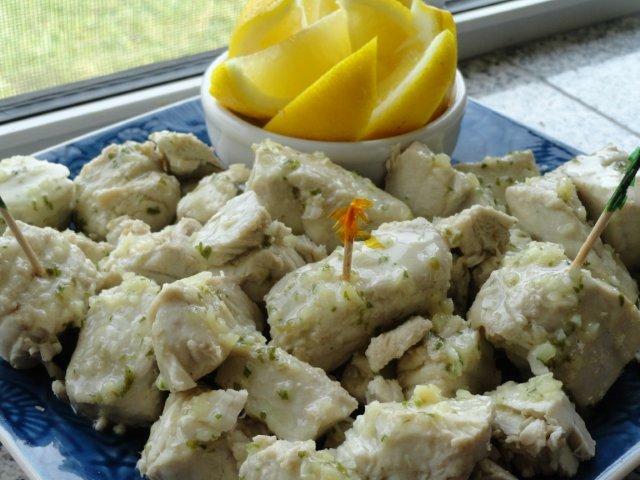 Pour garlic butter all over the fish and served with lemon wedges! Bon Appétit! This is a fancy way to eat fish but super easy to put together and you have dinner done in less than 30 minutes. You are going to love making this one I guarantee it! Preheat oven at 400 degrees. Line a cookie sheet with parchment paper. Cut each puffed pastry in 4 squares to make 8 of them and place on cookie sheet. 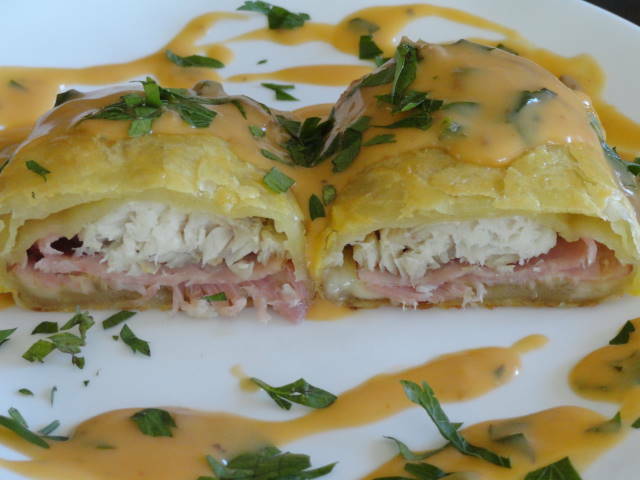 Place a piece of fish down on each pastry top with a piece of ham and brush with Dijon mustard and top with Swiss cheese. Wrap puff pastry around all and place seams side down. Brush with egg wash and bake for 20 minutes. Remove from oven and let rest on paper towels. In a small sauce pan on medium high heat add soup, cream, wine, lemon juice and parsley whisk until heated through. Serve one per person cut in half and top with sauce. Enjoy! This is fancy looking but super easy and sooooooo delicious!